On the main level, glass panels surround a large incision in the floor that opens to the living area below. Left: The all-white kitchen runs along one wall, and a full-height window overlooks the backyard. On the floors is natural Russian plywood with an anti-slip finish. 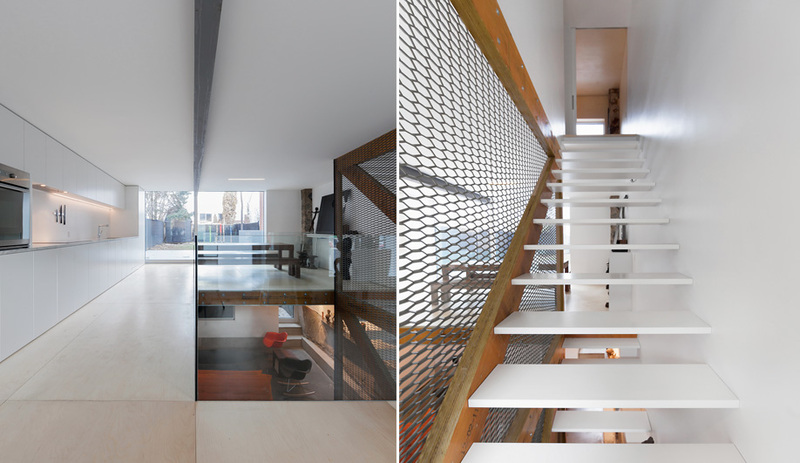 Right: Rather than a traditional railing for the double-height stairwell, Labrecque devised a curtain made from Dramex expanded metal framed in exposed timber. Part of the original foundation wall was left exposed, to contrast the drywall and the poured concrete floor. The dishwasher and the fridge are concealed behind custom cabinetry. New cladding and windows give the original ’60s duplex a contemporary look. 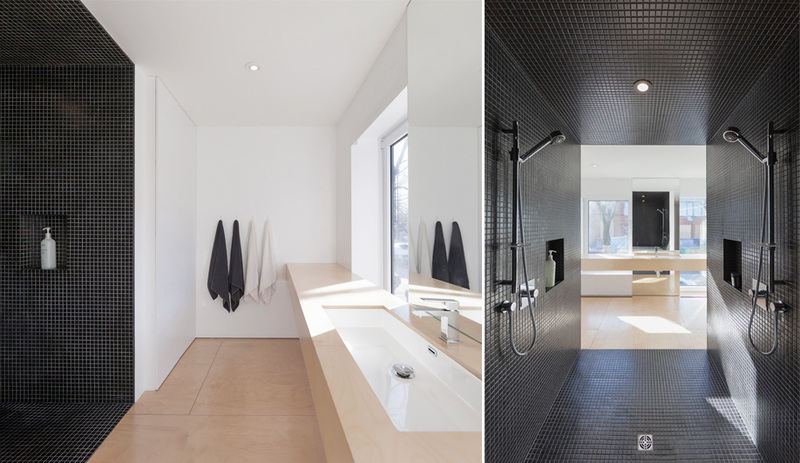 Black tiles define a walk-in wet room that leads to a bathtub at one end and an extended vanity with a plywood counter at the other. 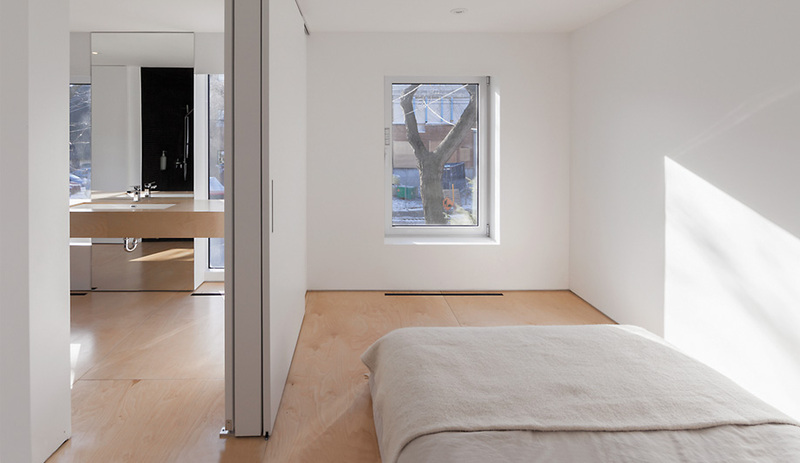 The eight-metre-square master bedroom is separated from the bathroom by space-saving pocket doors. 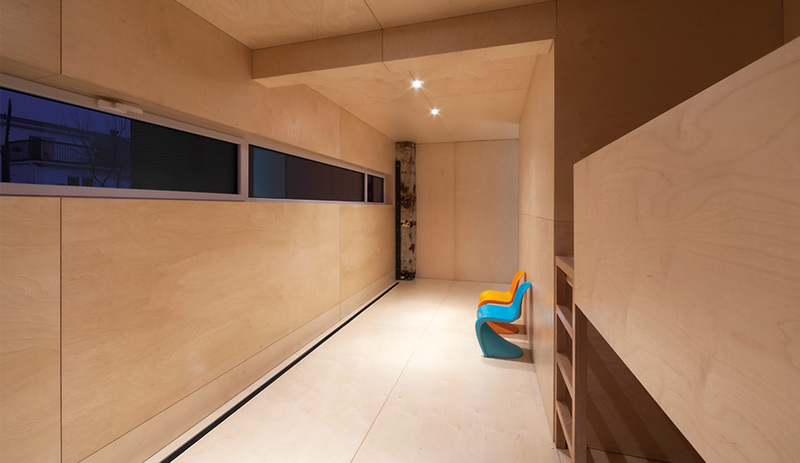 Natural plywood covers the children’s room, including the built-in bunk beds, cupboards and closet. 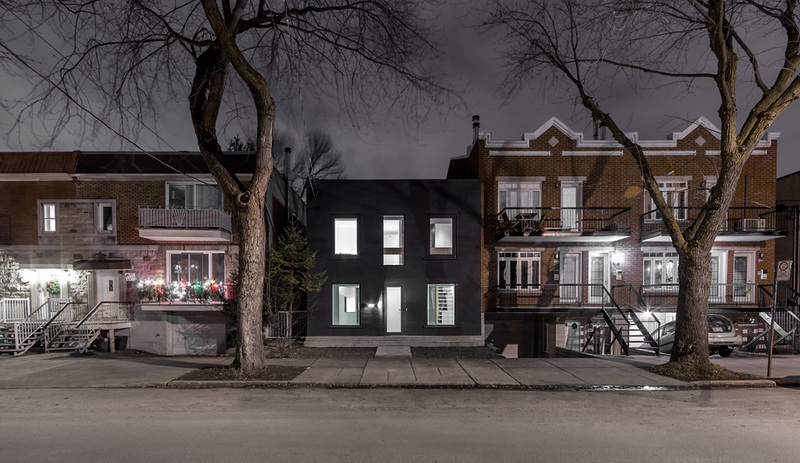 When most post-war duplexes in Montreal undergo renovation, they rarely survive demolition; their boxy shapes and flat roofs are so utilitarian that little nostalgia is attached to ensure their survival. 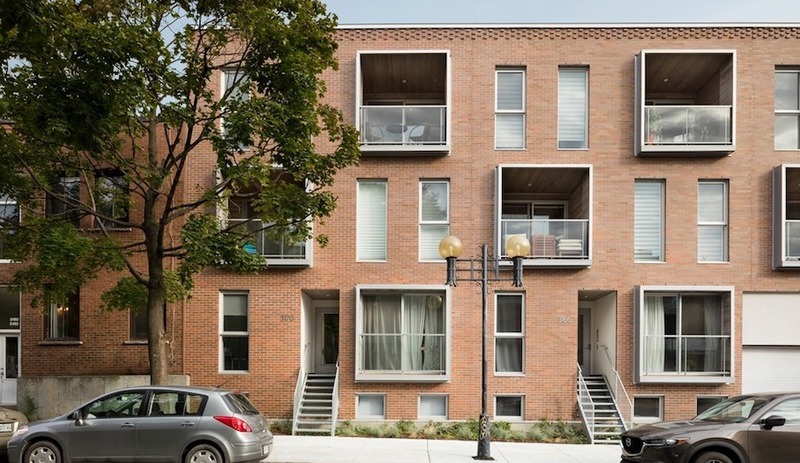 One local architect, though, has revealed the potential of these everyday modernist cubes. 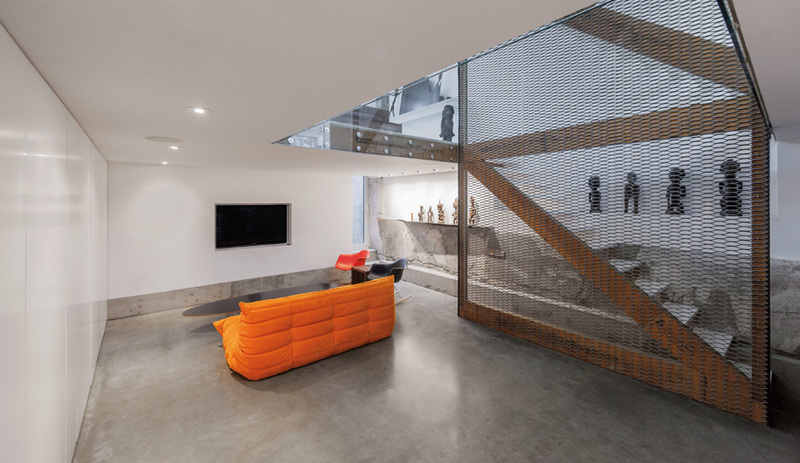 For Jean-Maxime Labrecque’s revamp of a two-storey red-brick duplex in the Rosemont–La Petite-Patrie neighbourhood, he kept the monolithic structure intact, turning his attention to the interior instead. Where rooms and hallways once defined the main floor, a 2.6-by-3.3-metre incision now opens up to the basement level. 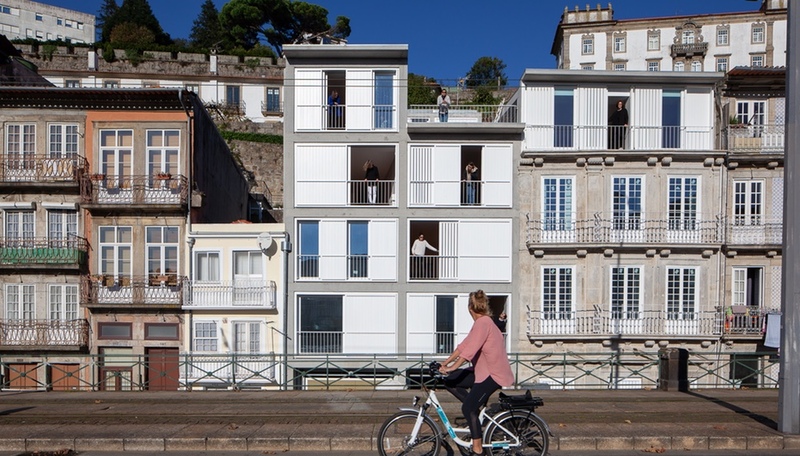 “A primary reason the owners bought this property was the house’s volumetric qualities,” says Labrecque, sole principal of INPHO Architectures Physiques et d’Information. He has run the firm for the past 13 years, and it has garnered an impressive reputation for its ultra-minimalist design; one recently completed condo project was defined by seamless aluminum cabinetry and built-ins that made separate pieces of furniture superfluous. 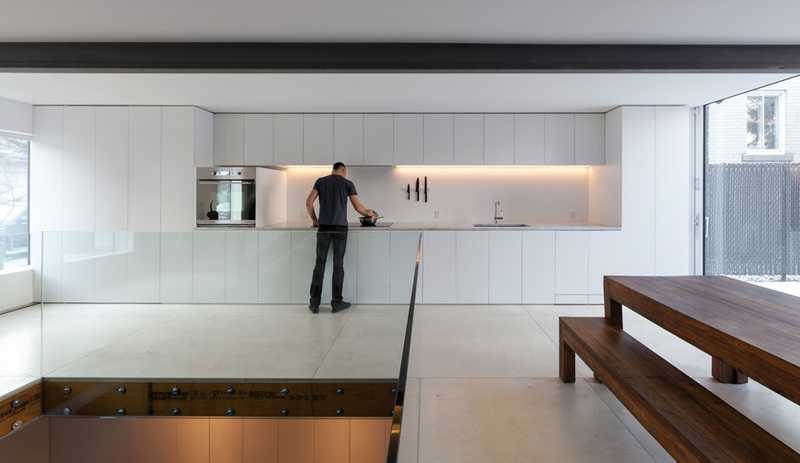 To turn the basement into a living area with radiant-heated concrete flooring, the architect excavated the original crawl space, digging down an additional 60 centimetres. He then worked with a structural engineer to underpin the foundation. An exposed I‑beam now spans the main-floor ceiling, welded to a steel framework concealed within the perimeter walls. 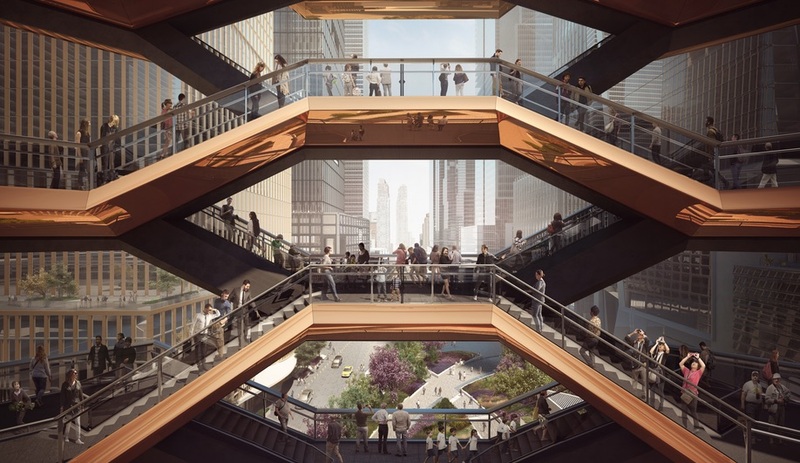 The gesture eliminates the need for load-bearing columns, making the two floors completely open. Thick glass panels act as railings around the central opening; and instead of a handrail for the stairway, Labrecque installed a chain-link curtain with wooden beam supports that double as stringers for the white lacquered steps. At the back, a full-height window runs the width of the house. It opens onto a deck and yard, letting natural light spill into the basement. For the main-floor kitchen, a bank of custom cabinetry conceals the fridge, the dishwasher, and a guest washroom at one end. Labrecque insisted on parking a built-in oven on top of the marble countertop, for the sake of visual continuity. “The client thought I was going a bit too far, but it makes all the difference in the world,” he says. Upstairs, a large window compensates for the master bedroom’s limited size – just enough space for a queen-size bed with a walk-in closet down the hall. 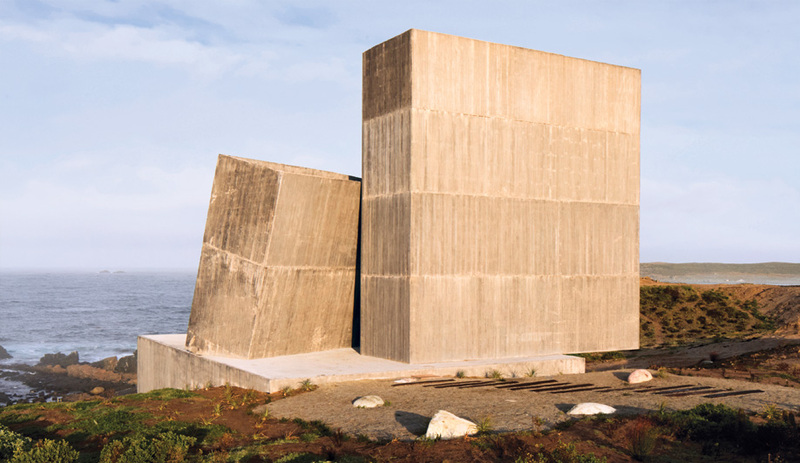 “The idea was for it to be an empty room where the only artwork is the view,” muses Labrecque. The second bedroom, for the children, is clad in plywood, with a ribbon window overlooking the backyard. With the toilet relegated to a separate closet, the second-floor bathroom contains a plywood counter that spans two windows. “It was the biggest gesture I could possibly make,” notes Labrecque, and it has turned out be an ideal place for folding laundry. A wet room finished with black tiles and matching grout contains two shower heads and a white tub.